As leaders, we often put our teams and organizations first. We have a responsibility to foster continuous learning and improvement. And when we want to bring about change, the trick is introducing it in a way that is effective—not invasive—and lasting. If this were easy, it would not be called leading. So, join us at the Agile Leadership Summit to challenge yourself and increase your leadership mastery. 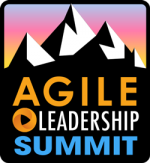 Participants in the Agile Leadership Summit work with and learn from experienced agile leaders who have led lasting change and produced a thriving agile culture. Learn ways to challenge your personal leadership growth and to lead in your organizational challenges including communication interpretation, anti-fragile approaches, visual data information radiators, and more. 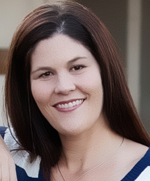 Tricia Broderick, who works with leadership teams to foster high performance, is the chair and your facilitator for the Agile Leadership Summit. Tricia guides participants, working in small groups, to gain insight into their biggest challenges. She is an agile coach and trainer with Agile For All. Executive director Tracy Briscoe and technology team senior director Golda Sahayam are exceptional leaders at Whole Foods Market. Tracy and Golda share their journey and passion to relentlessly deliver business value through technology and discuss the importance of value prioritization, transparency, and self-directed teams. Agile for All’s Richard Lawrence trains and coaches teams and organizations, including Whole Foods Market. Development manager Oksana Kubushyna and head of development management Ahmed Sidky are transformational leaders at Riot Games. They share their latest framework and toolkit for increasing leader accountability while maximizing team ownership. Adam Weisbart of Weisbart Consulting and CTO2’s Doc Norton are experienced agile coaches who have supported leaders, helping them to increase both their individual and their team’s mastery. Their success is based on years of deep practice including how leaders communicate and respond to conflict. Learn how you can breed an agile mindset in your teams, customers, and organization—and yourself. Bring your challenges, experiences, curiosity, and an open mind. Leave with a short list of things you can work on immediately and other breakthrough ideas for the long term.